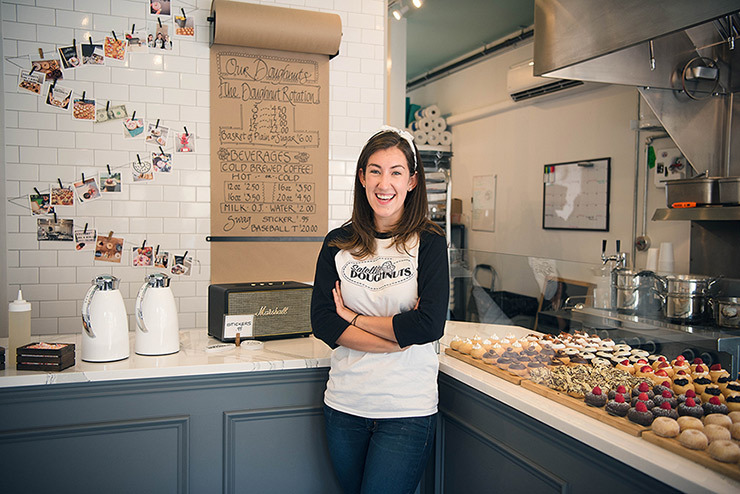 Walking into Satellite Doughnuts, the brainchild of Kennebunkport, Maine, native Colby Kingston ’18, you’re immediately tantalized by a counter full of miniature treats, ranging from chocolate caramel coconut to lemon meringue. You might smell bacon cooking or see blueberry pie filling being made. In the back, you’ll see Flipper, the doughnut robot, spitting out batter and turning the pastries.